Hiya Kelly and Andy, Tell us your story of how you met and got to this awesome stage in your lives? We met through a local nerd society (are you shocked?) we grew quite close and eventually inseparable! There was no massive romantic proposal. We'd had a lot to drink on our last evening of our Center Parcs trip and I (Kelly) blurted out that I wanted to get married. Andy said "Yeah OK, sausages are done by the way". Kelly: The morning preparations (Kay and the story about the ashes). Seeing andy's face when he saw me in the dress. 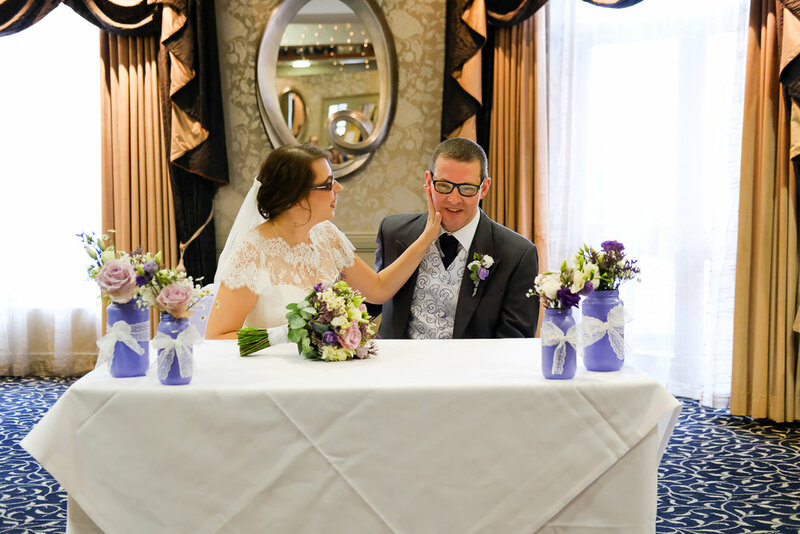 What made you choose The Belmont Hotel for your wedding? Kelly: I've done weddings there for years and I know the team (I’m a wedding registrar). I love what they do! They always make weddings feel intimate and everyone is well catered for. Nothing was too small or large for them to deal with. We kind of winged it. Not kidding. Butterflies came naturally as we both love them. The colour scheme took aaages but eventually we both agreed on colours that worked. Do the legal stuff early. Don't get too many opinions from people. Get the big stuff dealt with first, the small stuff will follow. For the evening do we had fish N chips, bacon butties, tomato bruschetta and wedding cake. Everyone seemed to entertain themselves well as the turnaround between events was pretty short. For the walk on, we walked down the aisle to the opening theme from Star Trek First Contact (my most favourite of musical pieces). Whilst we signed the register we had a few pieces from our favourite video games and when we left the ceremony it was to Immortals by Fallout Boy. 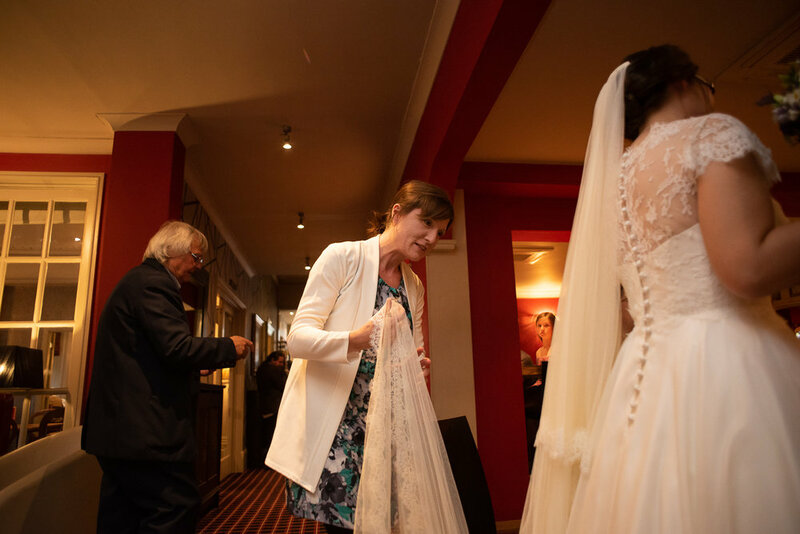 What were you looking for in your photographer, Why on earth did you choose Jamie Webb as your photographer and what was it like working with Jamie on the day? Jamie was a tea drinking nightmare. Ate all the food, took loads of selfies and drank the bar dry. Jamie was wonderful, so much fun and relaxed. Put us at ease from the very first email. Andy and I don't photograph well if we're posed. We knew from the moment we saw Jamie's work that he'd be the one for us. We were both really glad when he didn't force us to do a million and one posed photos with every single combination of family / friends. His relaxed style matches us as a couple. We loved our day. We can't thank you enough for everything you've done for us in this crazy crazy journey! We can't wait to see your take on our day. We Are Planning a fun wedding and we love your photos! What do we do next? Waaaahooooo! well… we drink tea of course! 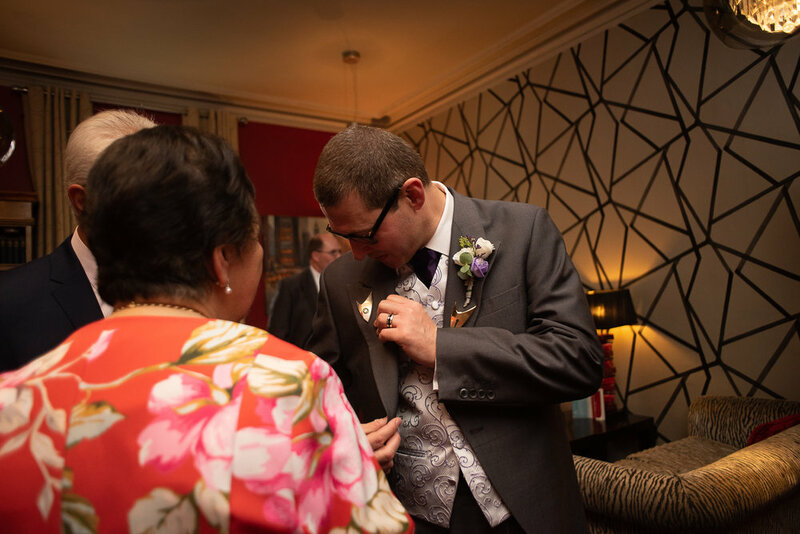 Hit the button below and we can arrange a time to meet up (either in person or virtually) we’ll talk all about your wedding and your photography options. I’m so excited to hear from you!